Today i gonna help you repair your broken Kingston SSD that not recognized in device manager and bios. So, lets begin: take new firmware for V100 from official site or from here (64GB and 128GB only) and burn it to cd. Reboot your computer and enter BIOS settings. Now change mode of youre SATA controller to IDE or legacy, if you don’t know how to do this – you can ask google. But how i said in the title – today we are trying restore ssd that doesn’t seen in Device manager and BIOS… So disconnect power cord from it and reboot your computer again, while cd will boot up you need to plug in power cord in at the moment when flasher starts. 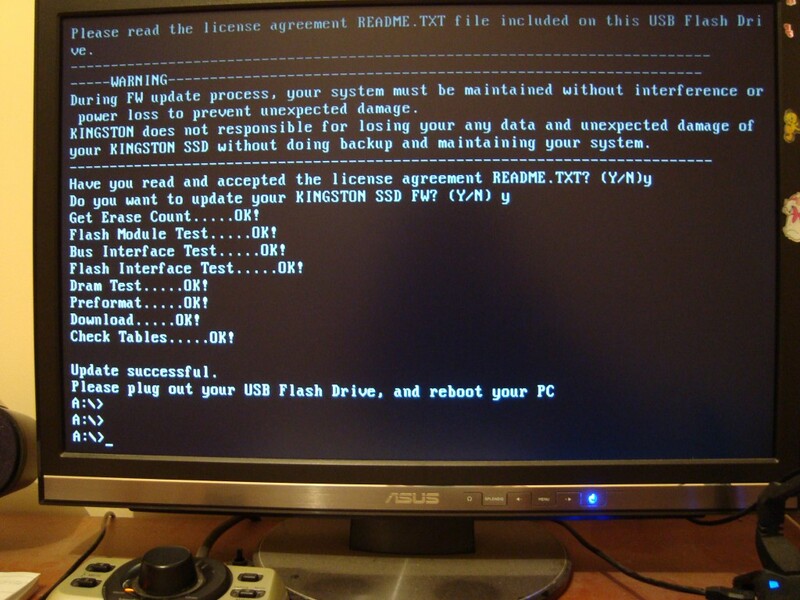 Now when the flasher see device it will offer you to update firmware on it, but when you answer “Y” twice and it try to “Get erase counts” it will fail. So you need to plug out power cord from ssd when it try “Get erase count” and after 2-3 seconds plug it back, it will say “OK!” and start another tests, DON’T TOUCH CABLES NOW! And now if you succeed your ssd will be updated to new firmware and work like new again ! If not you may try to do it all again or send it back to manufacturer by warranty. Good luck, and remember: i’m not responsible to any damage you made to your hardware ! Do it all on your own risk. It worked perfectly using your instructions. Many many thanks! I was not able to repair my SSD using this approach even with changing SATA cables. 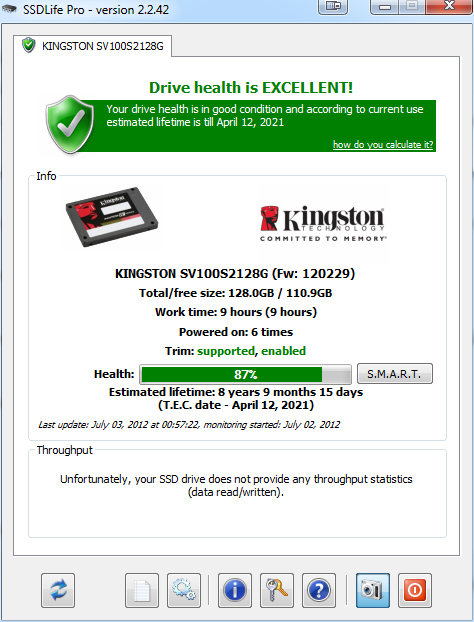 However I used the latest firmware from Kingston, not the one mentioned here. Are you getting the data back after this procedure or you just get the empty drive? I am having the same problem – drive is not recognized by BIOS and it is not detectable by firmware update tool. I have not yet tried trick with changing SATA cables. No, I’m getting an empty drive. Restoring data from the broken SSD is almost impossible, so if you are using this type of storage you have always be prepared to data loss and should consider to have a backup of your sensitive data. Страница сгенерирована за 0.093 секунды, обработано 35 запросов.